"The return from Auschwitz, the largest of the camps with 20,000 prisoners, mentioned illness as the main cause of death, but included references to shootings and hangings. There were no references in the decrypts to gassings." Rather feebly, experts were obliged to conjecture – as Holo-historians had been doing through the previous decade – that innocuous-sounding phrases concealed the fiendish meaning and intention. For example, sending Jews ‘to the East’ alluded to mass gassing. But is that really how historians are meant to behave? Should not their conclusions be drawn from the data, rather than imposed upon it? We here explore the view, that the understanding by British Intelligence of these decrypts, was sound. The year 1942 is a turning-point in our story, when Exterminist historians believe that the terrible mass gassing of Jews began, at Auschwitz. The ‘machinery of mass murder’ to use Jean-Claude Pressac’s phrase, got going! As Dr Terry explained, ‘the machinery of the death camps was in place and the policy of “selection” on the ramps at Auschwitz was instituted from July 17, 1942.’ August was the month when the biggest and worst typhus epidemic hit the camps. That shock reverberated though Auschwitz in particular as the long-extinct disease of typhus, a bacillus carried by body lice, returned to haunt the labour-camps. A Polish resistance movement might have introduced it to the German military: civilians entering the camp had brought it, not the inmates deported there. New protocols called ‘special treatment’ (‘Sonderbehandlung’) were swiftly developed and implemented, for all camp members, that involved routines of hair shaving, cleansing and delousing of clothing, bedding and living quarters. Two uttely different interpretations of that summer, one Exterminist and the other Revisionist, stand before us when reading the following decrypts. There were more Poles than Jews in the camp: Jews comprised 39% of the inmates on average, Poles 65% and Russians a mere 3%. (The two categories of Poles and Jews are overlapping, maybe why the ‘totals’ here given don’t add up.) Many people have conjectured that far larger numbers than these had been arriving but not departing, unmentioned in any monthly reports: but in that case, what would have been the point of keeping meticulous daily records of people coming and going? 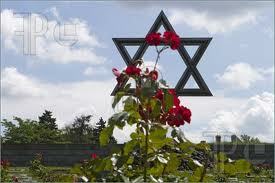 Some eighty-five thousand persons arrived at the Auschwitz camp that year. 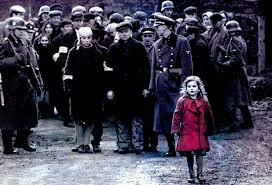 It’s hard to see more than forty thousand Jews arriving, from those figures, plus others coming and going. The camp’s Monthly Reports often have many Jews leaving the camp, as well as arriving. Of the deaths in the camp that year, nearly sixty percent were Jewish, and in such a nightmarish situation one can appreciate how stories got going. On May 1st, LUBLIN can provide: 1200 clerical workers and students, 200 bakers, 150 butchers, 350 agricultural workers and 800 workers of various trades, total 2700. (85/7). On the same date DR. Caesar is informed that KL RAVENSBRUECK disposes of 3 German speaking women horticulturalists and 2 botanists. (85/12). The transfer of 95 skilled workers and 180 unskilled workers to the GUSTLOFF works is arranged on May 13th at the rate of RM 5,00 per day and per prisoner for skilled workers, and RM 4,00 for unskilled workers. (60/8). KL DACHAU sends 18 prisoners to the Versuchsanstald fuer Ernaehrung und Verpflegung on May 15th., at a rate of RM 0,30 per day per prisoner. (70/8) 20 prisoners are required on June 22nd. For laying a field cable from ENNSDORF to MAUTHAUSEN (139/15). In KL FLOSSENBUERG, prisoners who are not fit for heavier work will be employed on repair work, and the finishing of children’s toys. (80/28). A demand for 30 to 40 prisoners comes from a cement factory (131/18). Himmler himself requires by 10 a.m. on May 27th the number of glass blowers available in KLA (86/34); and canvassing of makers of musical instruments is proceeding in July (174/1). At last it can be told - prisoners not fit for heavier work had to finish off children's toys. Dachau: on 19 May, 18 prisoners to be transferred. 20 May, 67 prisoners leave. 20 carpenters sent from Dachau to Mauthausen. Auschwitz: A Pole escaped, 13 May. 15 May, Himmler expresses his interest in the tanning experiments. 9 June: Typhus, 18 out of 106 died. Suddenly, a vast mortality was reported in one camp – viewed by British historian Nick Terry as part of a covert Jew-extermination program. But that is not a logical inference, on account of the way camp mortality then plummeted after September, once the epidemic had been brought under control. Typhus plus typhoid fever and dysentery, diahorrea etc., were raging in the camp, a real nightmare with inmates banned from leaving owing to the risk of infection: as David Irving wrote: 'There was evidently a deadly epidemic raging at the camp, since a message of September 4 in reply to a request for a thousand prisoners for building the Danube railway, stated that Auschwitz could not provide them until the 'ban' (Lagersperre) on the camp had been lifted.' The ‘ban’ confirms that the terrible peak in mortality was caused by infectious diseases and not something else. Camp Kommander Rudolf Hoss applied for some rubber truncheons, but was advised they were ‘unobtainable in Breslau.’ There is a report of some executions taking place: 'Executions are reported: a Russian civilian is shot when attempting to escape from NIEDERHAGEN. FLOSSENBERG is allowed a lorry and a bus to convey Polish civilians to a wood for execution. A prisoner is hung in HINZERT and nine more are shot.' One may conjecture that, if a Polish resistance movement had indeed started the typhus epidemic, the execution of a whole busload of Poles in September could have been payback. That sudden drop of several thousand in inmate population was due, the analyst concluded, not to illness but to departures, chiefly Jews. He was scrutinising the several columns of data. Some ten percent of the total camp inmates are ‘always unaccounted for’ he concluded – which helps to resolve the vitally-important issue: with all the comings and goings in the labour-camps, about ten percent - which here amounts to two thousand out of some twenty thousand - remain unregistered. In this situation, there cannot be tens of thousands of Jews continually arriving, as Hilbert wants to believe. Instead, a majority of the departures are Jewish. That ought to settle quite a bit of the ongoing debate. Jews are here being imported into AUSCHWITZ as skilled industrial labour, at the Buna-Monowitz plant. The report for Dachau confirmed this: ‘Large departures .. due to prisoners being sent on war work to Auchwitz and other places, which removes all but 9 of the Jews and many Russian civilians.’ The camp total was around ten thousand. Thus, sick prisoners were being farmed out to the Dachau camp, while fit-to-work Jews went the other way. Jews are alluded to in these decrypts with a respectful tone, being imported into Auschwitz as skilled industrial labour, or urgently needed as watchmakers somewhere else. Clearly, one can either have an ongoing program of extermination or have workers capable of doing skilled work – but, not both. This new and detailed info about the camps has to comprise a final stake through the heart of the Exterminist thesis. These decrypts allude several times to Heinrich Himmler in relation to the camps: that he took an interest in some tanning experiments, that he asked about how many glass blowers were available, and that he sought out makers of musical instruments. On 17 July, 1942 he visited Auschwitz and it’s always claimed that he ‘witnessed a mass gassing.’ One has a choice here, between two different stories, between two different worlds. A focus upon these British Intelligence decrypts could exert a terminal effect upon the ‘Holocaust’ industry. Holo-tomes tomes roll off the press (Dr Terry had kindly sent three hundred titles published since 2000), but have they not ignored this primary-source data? They omit discussing what the decrypts describe, for the very reason that we are here concerned to expose it. We seek out the primary-source data, in order to find the truth. For example, there are two raw-data sources, which are more or less independent, for how people died in the German labour-camps: the Death-Books of Auschwitz, and the Arolsen Archives (now called the International Tracing Service), a database collected by the International Red cross over the last sixty years. The latter covers all the German labour-camps. These two sources have two important things in common: a roughly similar number of Jewish deaths recorded, around thirty thousand, for the Auschwitz camp, and also that neither source records one single death by gassing. The British-intel decrypts didn’t record the deaths but only ‘departures’ – which includes deaths - except for the one month of August 1942 when it gave a figure, and we’ve shown how this is fully compatible with the number given by the Death-Books for that month. But, if anyone still wants to believe in huge numbers of Jews brought into the camps, not being recorded as ‘arrivals’ and then gassed right away – a quintessentially unverifiable concept – then a different kind of argument will have to become relevant, of intact coke records. This has not here concerned us, but the records of coke consumed by the cremation-ovens do impose a strict ceiling upon the number of bodies that can have been cremated. Thus we emerge from Storyland, we leave behind us the Fairy Tale from Hell, which a Culture of Untruth wanted to manipulate. Instead we choose to analyse the actual, primary-source data. Nowadays hardly anyone believes the words of politicians, and we respectfully suggest that uncensoring the truth would be the best way to make progress towards a civilisation that would be worth living in. We politely request open debate concerning the meaning of these British-intelligence decrypts. Nick Terry, Conflicting Signals: British Intelligence on the ‘Final Solution’, 1941-1942’, Yad Vashem Studies 32, 2004, pp. 351-396, p.382. Robert van Pelt, Auschwitz 1270 to the Present, 1996: ‘...the words “further East” meant gas chambers.’ Also, of course, ‘passing through’ (as in the numbers that ‘passed through the camp’) alluded to ‘the process of extermination,’ p.326. The East was a ‘domain of redemption’ for the German nation, he explained! Search for ‘Public Record Office’ then go to the Discovery catalogue, and insert a file name, eg HW 16/65. N. Terry, Op. Cit. p.382. On July 29, a radio message authorized the camp administration to pick up gas for disinfestation: “The permit for travel by truck, from Auschwitz to Dessau for the collection of gas, which is urgently required for the disinfestation of the camp, is hereby issued.” Mattogno, Special Treatment, p.45. 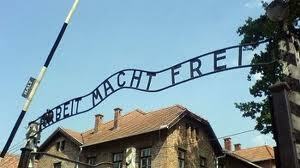 See Carlo Mattogno’s book Special Treatment in Auschwitz for evidence of the meaning of this term. Go to our What really happened site and click on ‘Auschwitz population in Excel’ and the excel spreadsheet will give you the monthly means: or for raw data examine the decrypt-data starting here. This total for July was published by the Red Cross, see Mattogno op cit p.23. That number cited by Hilberg is wholly impossible in relation to mortality figures: the muffle-furnaces or cremation-ovens, about fifty of them in Auschwitz-Birkenau, take one hour per body-cremation, were operated over twelve hours of the day, and were each online for about half of the time: which gives a maximum of around one hundred thousand cremations possible in the year: see Carlo Mattogno, ‘The Crematoria ovens of Asuchwitz and Birkenau’, in Dissecting, ed. Rudolf. Decrypt HW 16/65 August 1942, p.21. This September report is enormously important, as giving a link or a comparison with the monthly deaths recorded in the Death Books of Auschwitz (2005) - discussed here. David Irving, Churchill’s War, p548. Decrypt HW 16/6 5 Oct 1942: Irving ibid., p.700 (NB I couldn’t find that decrypt). This claim is ‘ incessantly repeated and never proven:’ Mattogno, ref 10,, p.17. See Terry op. Cit. P.360. See Jurgen Graf’s Giant with Feet of Clay for this topic: it’s a rebuttal of Raol Hilberg’s three-volume ‘classic’ Destruction of the European Jews, 2003, which treats of the Russian campaign in its 2nd Volume.